Peter Pharos was raised in Greece but has been living in the UK for a decade. After a lifetime of devotion to others wines of Greece as well as those of Italy, France and Spain, he has recently re-discovered ‘Sourblack’, aka the Xinomavro grape variety. It is interesting to note how much – and how little – Greek wine has evolved over the past two decades. There’s a general consensus that quality has increased across the board, and good wine can now be found around the country, but ask an international wine aficionado to name a Greek terroir of note and the answer is unlikely to go much further than Santorini. The overall state of affairs has hardly changed since I started. I got into wine almost twenty years ago in Greece, where drinking local is the leading option. In the late ‘90s, the Greek wine industry was starting to join the modern world. There wasn’t the relatively wide range that one sees today, but most of the old guard had realised that times had changed and the future was to move up, or move out, and most of the boutique wineries that are now in the export vanguard were already up and running. 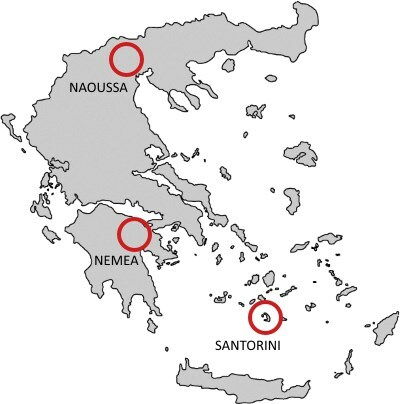 As it does now, Greece largely means white wines: Santorini was the terroir, Asyrtiko the star. At the other end of the spectrum, retsina was the outcast being unjustly (yet probably necessarily) quarantined. Sweet wines were well represented with Samos and Patra offering more than credible alternatives to high-end Santorini Vinsanto. There were no sparkling wines of note. In red wine things were more muddled. 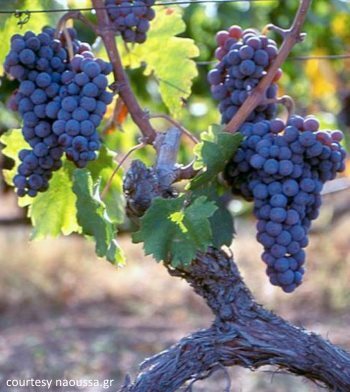 Conventional wisdom held that Greece had two indigenous red varieties with noble potential. The first was Agiorgitiko (literally: “St George’s”) grown and vinified around the country, but Nemea in the Peloponnese its home terroir. The second was Xinomavro (literally: “sourblack”), a demanding variety rarely seen outside its traditionalist homeland of Greek Macedonia. As for the new, hip, boutique wineries of Northern Greece, they relied mostly on classic French varieties; even when the odd Greek grape was thrown in the mix, it didn’t dominate. In the contest for the preeminent Greek red variety, Agiorgitiko seemed to hold the lead; its wines were supple, reasonably powerful but accessible; even lesser bottlings accompanied meat-based dishes agreeably. Its competitor to the north seemed less appealing: when not mollified with softer French varieties such as Syrah or Merlot, its rough tannins were good for cutting through the fat of lamb-based dishes typical of the area, but unsuitable for wine and (Greek) cheese nights, let alone imbibing solo. Better examples hinted at complexity and depth, but the key word was ‘austere’. My wine guides promised serious aging potential for Xinomavro from Naoussa, but that was of little interest: university students are not known for their deep cellars, or their affinity for delayed gratification. For someone who had drunk Greek almost exclusively in the first few years of his vinous education, coming to the UK and its mythical merchant scene was a revelation. It felt like I’d been floating down a river for years, and now I had finally reached the sea. I drank very little Greek wine over the next two or three years; my visits back home were “best-of” affairs. I did follow Santorini’s evolution closely, but that was just one more internationally-important terroir. I fell out of drinking Agiorgitiko almost without noticing; the French grape offerings of the Northern boutique wineries seemed to be both better and more consistent. I did hold a tasting of a few of the more expensive Xinomavro-based bottlings, but these were mostly from trusted producers and always blended with French varieties. My road to Damascus passed through a wine bar in my hometown, on a night where the friend I was drinking with ordered a bottle of a northern Greek Pinot Noir that fell well below expectations. This was already our second bottle of the night, so we were stuck. We drank slowly, through indifference rather than contemplation. The proprietor seemed to pick up on our misery. He asked, gently, how come we went for something like that. We mumbled sheepishly about remembering it differently / reading a good review / other stock excuse of choice. He took it away and brought a bottle I didn’t recognise. He was confident enough not to stick around to see if we liked it. Seeing Naoussa on the label didn’t raise my expectations, but then I brought the glass to my nose. Is shock the right word? In the context of wine drinking, yes. The good aspects of Xinomavro were there: there was alcohol balanced by acidity, tannins that would work well with food, and aging potential. But there was more, way more. Fresh red and black fruit; hints of clove and spice that echoed the Langhe and Southern Rhône. But, more importantly, there was a hint of something pungent, energising and unique, a sign of true terroir. I’ve heard and read people describe it as tomato stalk or sun-dried tomatoes; others as earth, wet soil, or even charcoal. I don’t have an accurate description for it just yet, but it is what identifies the new Naoussa winemaking. My visits to Greece the next year were very much Naoussa-focused. I went over the producers and styles, seeing the new and rediscovering the old; interestingly, the quality has increased even in traditional-style bottlings. One factor could be the increase in alcohol levels leading to fuller, rounder wines – less sour and more black – though it remains to be seen how that will impact ageing. 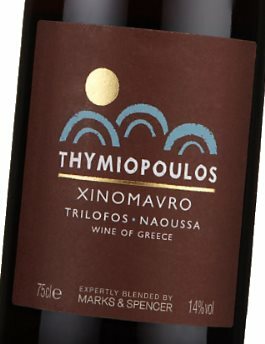 The new school, exemplified by producers such as Thymiopoulos and Karydas, has finesse and balance with an intense fragrance. It delivers three or four years after bottling. The old school, led by the various bottlings of the Boutaris group, and especially its Ramnista label under the Kyr-Yianni brand, typifies the austere style. These are wines that need patience and are better after least a decade. They’re probably one of the best value-for-money wines globally. The experimenters, with most producers in the area trying various blends, typically with French varieties. While not always consistent, these are accessible and a good introduction to sourblack charms. The noise the area has been generating nationally means that interest is increasing in neighbouring areas: Goumenissa, Amyntaio, and Rapsani, all long-standing sourblack terroirs, are raising their game. Greece is neither Napa nor Burgundy, but it can definitely support at least two premium terroirs. The world already knows the white one well enough. Indeed, Santorini producers feel confident enough to aim for so-called “premiumisation”, with prices rising more than 50% last year, in the process creating the most controversial issue in the Greek wine community for a while. It is likely that in a few years, Naoussa will be coming up next. Given their longevity, these are wines you will want to be cellaring, so start now – I already have a few years head-start over you.